Knees are crucial to mobility and the smooth function of the legs. Unfortunately, knee injuries are very common, particularly among those who have been involved in car accidents, motorcycle accidents or slips, trips and falls. The knee is a very complex joint in the body and there is a wide degree of variance in the types of knee injury sustained by personal injury claimants. For example, although damaged kneecaps are very common among front-seat car accident claimants, knee sprains and dislocations are common among the victims of slips, trips and falls. Furthermore, those who work in labour intensive manual occupational fields such as construction and warehouse management may sustain overuse type injuries such as chondromalacia patella. Knee injuries can be debilitating and can greatly reduce a person's capacity to work, to enjoy sport and even to perform basic tasks such as walking, climbing stairs or lifting heavy objects. The level of long-term disability is the crucial factor in determining the right level of compensation for a knee injury claimant. For example, relatively minor knee injuries are likely to be settled for up to £10,000, moderate injuries for up to £20,000, serious injuries for up to £34,000, severe injuries for up to £54,000 and very severe injuries for up to £75,000. The cases below provide useful guidance on the kinds of sums courts deem appropriate in the settling of knee injury claims. A 25 year old female tripped on an uncovered stop tap in a grass verge near her home and fell fracturing the tibial plateau of her left knee. She was in hospital for 10 days and had a full leg plaster for eight weeks. She suffered continuing moderate to severe symptoms, which slowly became worse. The claimant went on to develop osteo-arthritis and worsening symptoms, and it was thought to be probable that major reconstructive or joint replacement surgery would be necessary after a period of approximately 10 years. Six months after the accident the claimant developed psoriasis, as a consequence of the stress caused by her injury and treatment, which over several weeks spread to cover most of her head and body. The initial acute attack was so severe that she was immediately admitted to hospital for approximately three weeks, after which she was discharged with minor healing lesions. Thereafter psoriasis continued to trouble her but to a lesser degree. Remember, these cases are only a guide. The amount that you are awarded for your pain and suffering will depend on your particular injuries, how they have affected you and your recovery from them. Thompsons Solicitors are recognised as Scotland's leading personal injury solicitors and have more accredited personal injury specialists than any other firm. The knee is one of the most crucial and most vulnerable parts of the body. 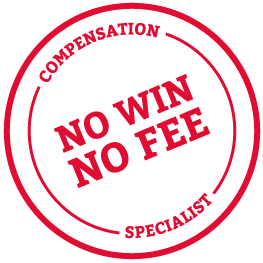 If yours has been injured as a result of another's negligence, whether or on the roads, in the workplace or elsewhere, and you have had to take time off work, have incurred medical fees and have lost the ability to perform tasks which were part of your life previously, you may be able to claim compensation for your losses. To speak with Thompsons Solicitors today, call 0800 0891 331.